This is the twenty sixth of our series of projects to make us thankful for DIY. Be sure to check back everyday during the month of November for new simple and easy DIY projects. 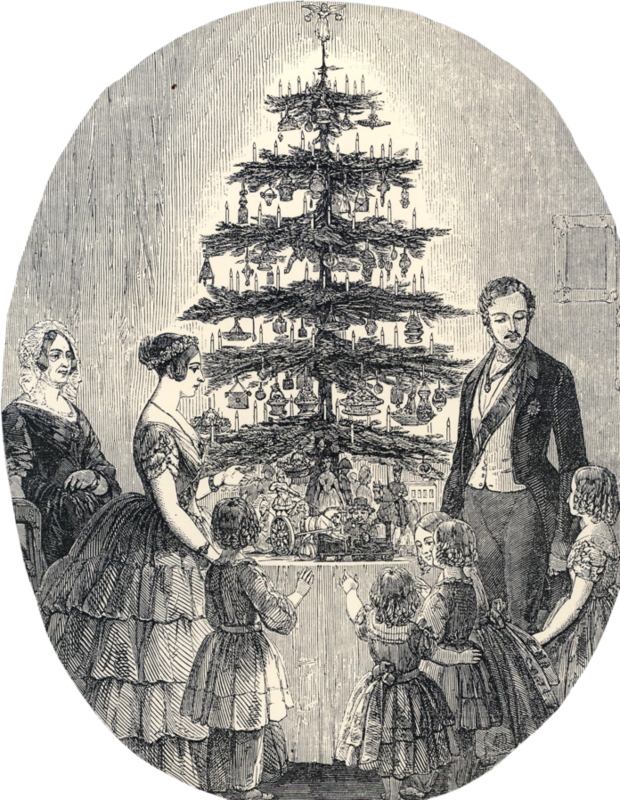 In the early 1800's in America, no one had even heard of these things called Christmas trees. That 's because Germany started the custom in the 16th century. It didn't make it across the pond until the mid to late 1800's. 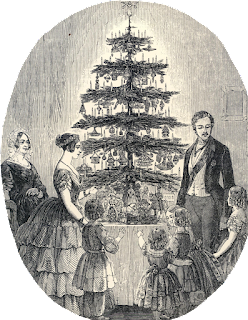 Queen Victoria was shown in 1846 with a Christmas tree in her home. Why did she have a Christmas tree? Because her husband was German. These days not everyone has a real tree in their home. We are one of them. 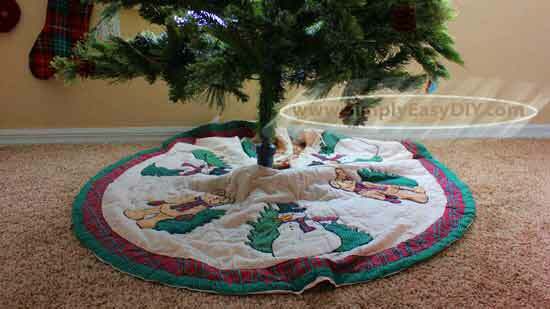 Our choice is to go with a a 7 1/2 foot pre-lit Virginia pine artificial tree that was purchased several years ago. It doesn't have a special Christmas Tree base other than the supports that it came with. or is that less filling? plus 2x4 for crate support. To make the rustic stand fit your specific tree, first measure around the bottom. Add a couple of inches, then make your cuts. 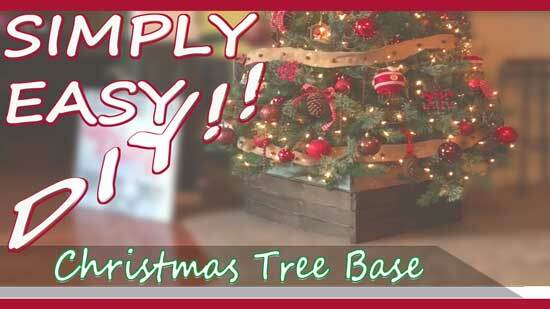 The height of your base will depend on how tall your tree is so measure from the bottom of your tree to the floor. I hope you enjoyed today's featured project and don't forget to stop by "CMR Woodworks" YouTube channel to check out even more great woodworking videos from Chris. Don't forget to subscribe.